NASHVILLE, TN — Tennessee State University Alumnus, community service leader, and friend of many in Davidson County, Mrs. Vivian Wilhoite is a familiar face with a tough job that she is handling successfully and greatly enjoys. She served as an appraiser and Chief of the Consumer Services Division for the Tennessee Public Service Commission, represented District 29 on the Metropolitan Council and now fulfills her history-making achievement as the first African American female Davidson County Property Assessor. She is thankful for the votes of the citizens that allow her to continue to serve in the city she loves. Vivian Wilhoite is often referred to with the title of “The Tax Lady” or “Tax Property Assessor.” She is quick to correct that she is the Property Assessor or the Assessor of Property but not the “Tax Assessor” or “The Tax Lady.” Vivian is not offended by the incorrect title reference. She knows that citizens have often combined these titles for a long time. Vivian sees it as an opportunity to educate the person on how the process works, educating them that by state law, the “tax assessor” is the county mayor and the county’s legislative body which is the Metropolitan Council because it is their authority to approve the tax rate that would generate the necessary revenue. It is this balance of power that determines the justification of tax rates and revenue. This is just one of the many educating moments that Vivian will take the time to talk with constituents about the appraisal process. She also gets excited to talk about how her 80 person staff and she arrives at property values or reminding qualifying property owners about programs such as Tax Freeze, Tax Relief and Tax Deferral administered by the Trustee’s Office and the Senior Tax Assistance program administered by the Metro Social Services Department that can help in paying their taxes. Property Assessor Wilhoite wants Davidson County residences to know that her office welcomes the opportunity to speak with them. Wilhoite shared, “Citizens can rest assure that according to Tennessee state law and the structure, the property assessor’s office in addition to all of its responsibilities, ultimately assigns values to the residential and commercial property that helps establish their taxes.” Assessor Wilhoite goes on to say the Office of Assessments just wants to be fair in establishing property values, will be transparent in how we arrive at values and will ensure to inform property owners of their rights to appeal their values. She indicated that the citizens are beginning to learn more about her office and how it operates through her proactive approach of educating members of the community. As a result of more than 100 community presentations since 2016, Wilhoite and her staff have helped the property owners make informed decisions and better understand the valuation process. Vivian’s team of awesome staffers actually makes visual inspections of fully built residences and commercial properties. It is important for property owners to know that appointments are not required for appraisals unless there is a particular need to enter the property. When new construction exists or a property owner files an appeal stating evidence of alleged adjustments, then an inside inspection is necessary. Presently, property owners can now file an Informal Review with her office up to the deadline of April 27, 2019 by calling 615-862-6080. There are more than 35 appraisers who wear identifying tags as they cover properties in their designated zones and do visual inspections according to requirements. The appraisers look for changes such as improvements which require permits. The purpose of permits works hand-in-hand with the assessment process to identify new improvements. “Assessors can go on a property and complete assessments just like meter readers for water and electricity usage,” said Wilhoite. However, if a property owner requests the appraiser to leave, they run the risk of their property being subjected to an estimated assessment. Wilhoite shared that there are approximately 250,000 parcels (and growing) in Nashville and Davidson County that are part of the current appraisal process. Since 2017 this indicates a tremendous growth in Davidson County. Wilhoite stated, “The Reappraisal is conducted every four years and since the last re-appraisal in 2017, the data has shown that the growth actually helped reduce the tax rate substantially to become the lowest in Davidson County’s history since Metro Government’s consolidation.” Wilhoite understands that growth is good but it also has its downsides such as traffic congestion, crowded schools, housing affordability and other critical issues that are being addressed by other departments and elected officials. When not managing the larger-than-life elected position, Vivian enjoys eating her husband’s delicious cooking, her two sons, visiting with friends, reading, and playing with her new puppy, Bella. 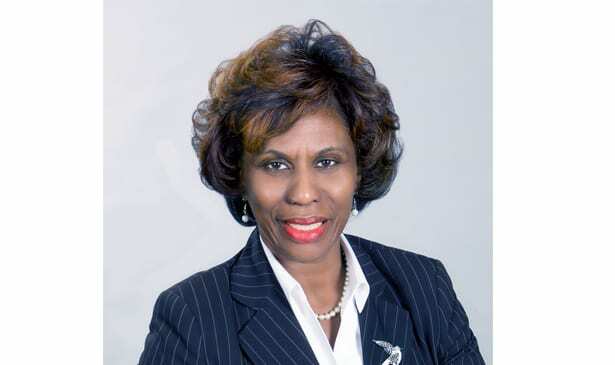 Wilhoite also dedicates some of her time supporting her various interests such as the International Association of Assessing Officers, her sorority Delta Sigma Theta Sorority, Incorporated, Les Gemmes, Incorporated, her home owners association, her Mt. Zion church, and many other churches she considers herself to be a member by proxy, along with many civic and political organizations which engage in the growth and diversity of Nashville.